Tesla self-driving car: Is this Elon Musk's first big mistake? Did Tesla Just Make Its First Big Mistake? 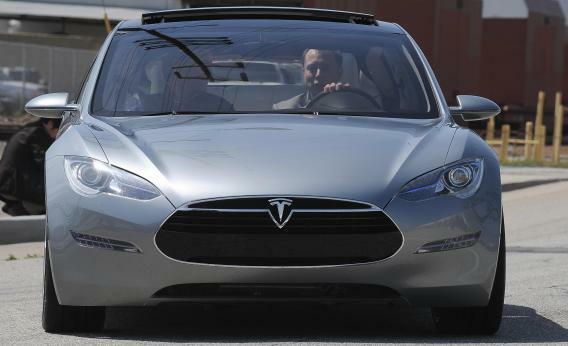 Elon Musk wants to build a self-driving Tesla. But will that distract him from the bigger task at hand? Tesla is building a self-driving car. Or, to be more precise, Tesla is working on an “autopilot” system that would allow its cars to drive themselves in most situations. “We should be able to do 90 percent of miles driven within three years,” Tesla CEO Elon Musk told the Financial Times on Tuesday. Tesla has succeeded at just about everything it has tried so far, and there’s no reason to think it can’t pull this off too, if that’s the company’s top priority. There’s just one problem with Tesla’s ambitious goal of building a self-driving electric car in three years. Tesla already had an ambitious goal, and that was to build an affordable electric car in three years. With the $70,000-plus Model S, Tesla proved that electric cars can be superior to gas-powered cars in most respects if cost is no object. But for almost everyone in the world, cost is an object. Tesla has insisted again and again that it recognizes this, and that its ultimate goal is to build electric cars that ordinary Americans can afford. Yet it keeps pushing back the timeline. Its next model, the Model X crossover, is due out next year, but does not figure to be much cheaper than the Model S. The long-promised “entry-level” Tesla, which may or may not be called the Model E, still does not have a firm timeline. Musk recently said his aim is to produce “an affordable long-range compelling electric car in about three to four years.” But he’s been saying that for a few years now, which hints that the path to affordability isn’t running as smoothly as he might have hoped. Tesla backers may insist that Musk can do it all: make Teslas self-driving, make them affordable, put a man on Mars, and build the Hyperloop in his spare time. Perhaps he can: There is no one more dynamic executive in the auto industry today, and perhaps not in the technology industry either. Clearly the engineering team he has built at Tesla is formidable. But every hour and every dollar that the company spends developing autopilot technology is an hour and a dollar that it’s not spending on battery technology, which is its core strength. On top of that, any time and money the company spends on autopilot technology will have to be recouped in profits down the line—which makes it a better fit for luxury models like the Model S and Model X than for an entry-level electric car. Again, maybe Tesla can do both. But one wonders whether Tesla’s success building world-beating luxury cars has taken the edge off of its appetite for building cheaper ones. If so, that would be a mistake. There are other smart companies out there, including Google, with the talent, resources, and motivation to solve the self-driving car problem. Tesla may be the only one today with a chance to solve the affordable long-range battery problem. Besides, the knock on the Model S isn’t that people have to drive it themselves. It’s that they can’t afford to drive it at all. If two roads diverge in Tesla’s future—one leading to affordability and mass adoption, the other to fat profit margins and whiz-bang technological features—here’s hoping Musk takes the one that more people can afford to travel by.